DUE TO THE THREAT OF INCLEMENT WEATHER — LUNCH AROUND HAS BEEN RESCHEDULED FOR THURSDAY, JANUARY 31st. If you are having trouble registering or paying online please try our Birmingham CREW quick payment portal https://www.paypal.me/BirminghamCREW. 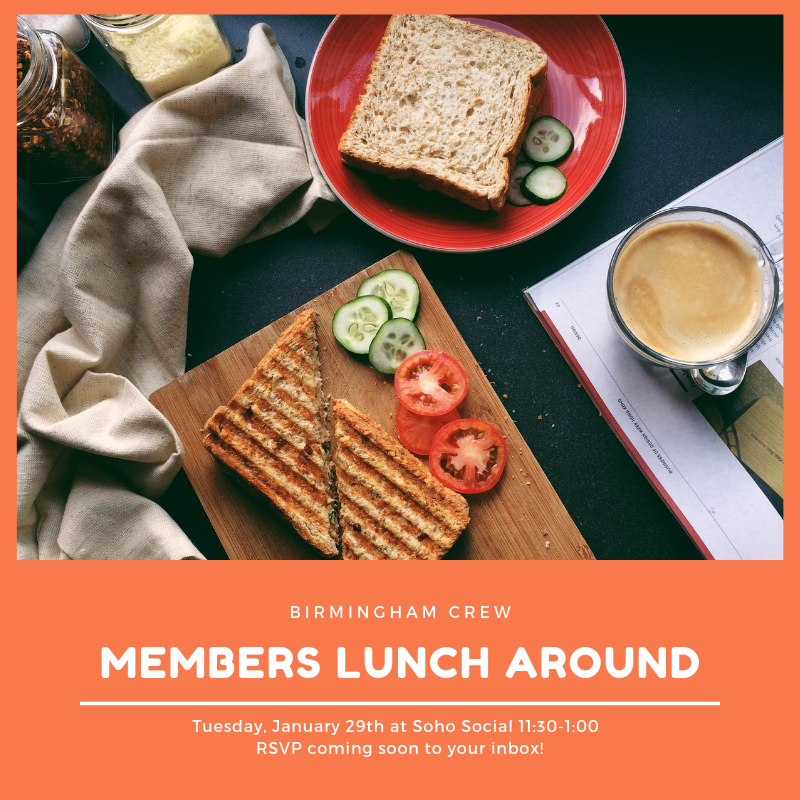 If your attendance may be tentative or you are still having issues registering for this event please let us know by sending an email to info@birminghamcrew.org. For last minute attendance, please be advised that we can accept payment on the day of the event, at the registration table, in the form of cash or check. Credit cards cannot be accepted at the registration table. Successful reservation, and tentative reservation will result in a confirmation email. If you have any questions please let us know. Thank you, we look forward to seeing you there!